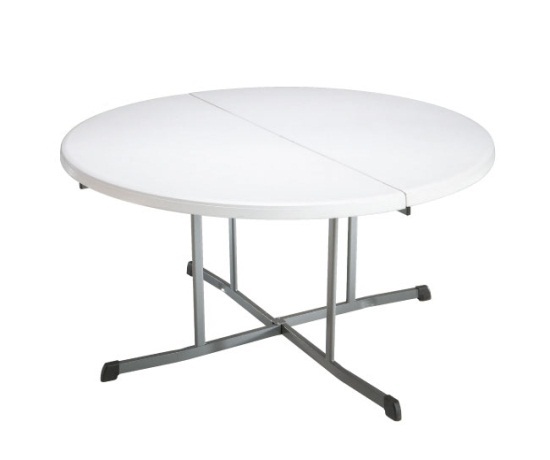 Product: Lifetime Round Tables - 5402 8-Pack of 60" Round White Granite Fold-In-Half Round Folding Tables. 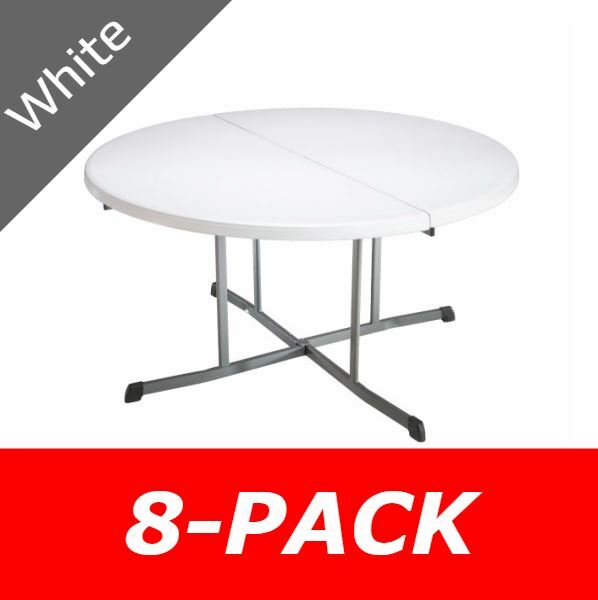 This 8-Pack of Lifetime Round Tables has shipping included in the price when shipped to the continental United States. 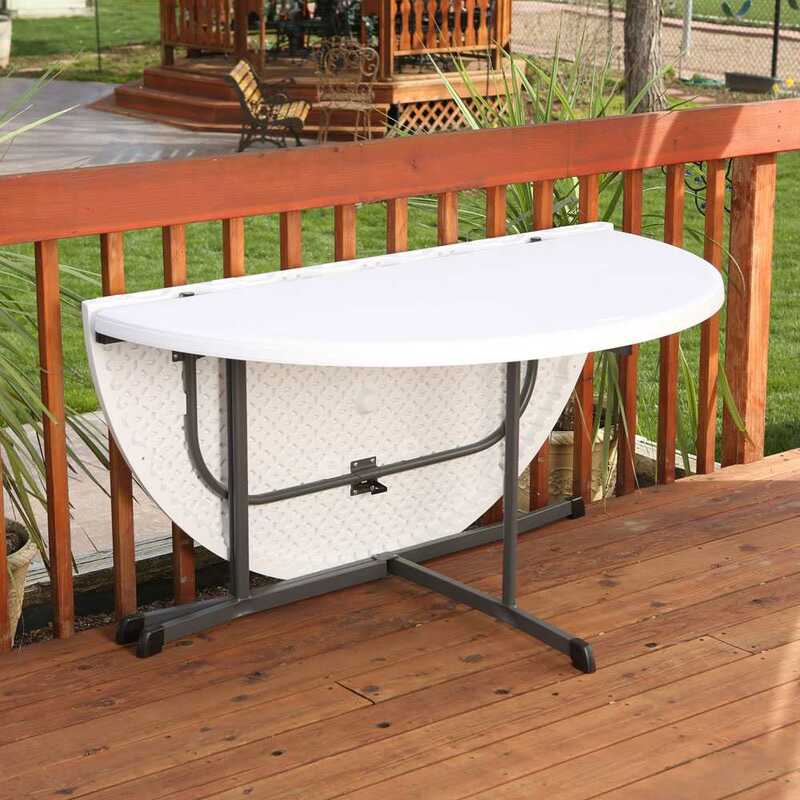 This ultimate Lifetime 5402 round fold-in-half table can easily be used as a full or half circle table. Up to 8 people can sit up to the table when the table is set up at full circle and 4 people can sit up to the table at half circle. Table Top is 4 in thickness, when the table is folded. 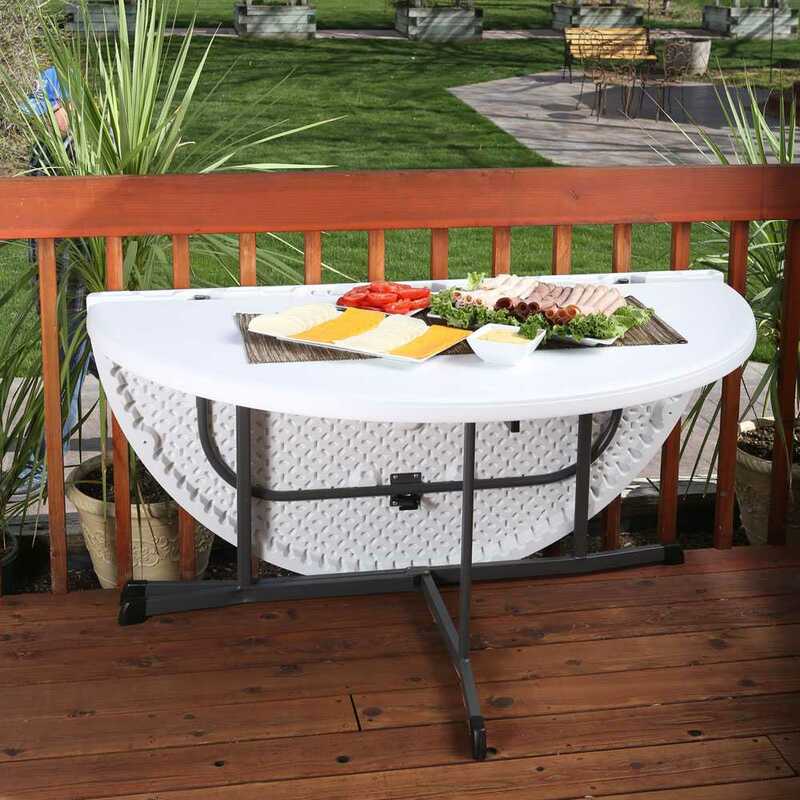 Meets ANSI/BIFMA Standards and is manufactured by Lifetime Products, Inc.
24534 Round Plastic Tables -Lifetime Products 4534 Durastyle 5 Ft Fold In Half Tables. A 48" fold in half table is also available. Lifetime Round tables like the 5402 are specially designed with a fold-in-half table top. 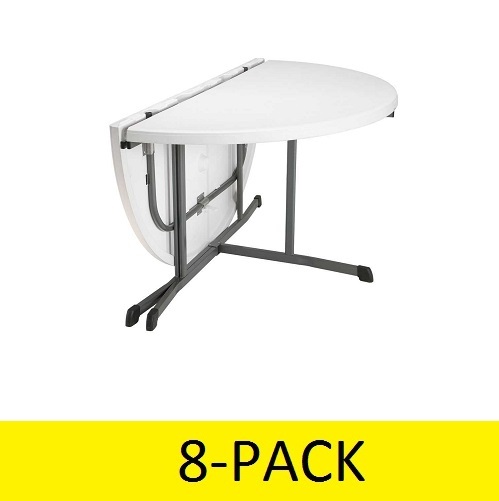 This added feature makes storing these tables a little trickier than the regular 60 inch Round Folding table from Lifetime. As illustrated in the picture of this folding table, the legs of the unit stick out with the table is in its fold-in-half position. 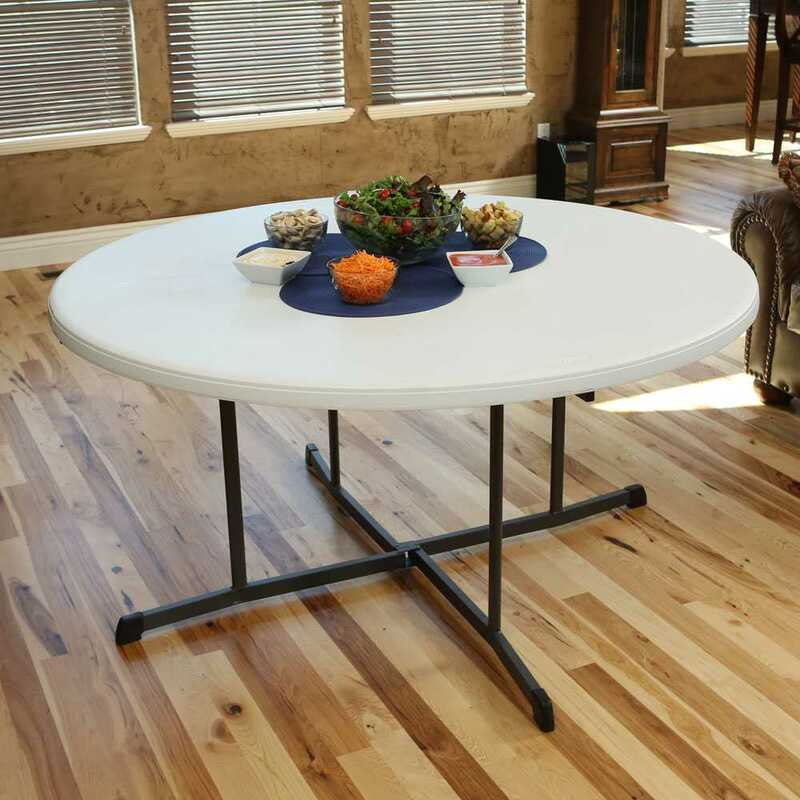 This design will limit the number of round folding tables that can fit for storage on a Table Storage Cart like the 6520 from Lifetime Products. So easy to setup and put away! Lifetime clearly aims to provide products that can be incorporated in a person's lifestyle. This table's functional ability does just that. We were attracted to this table because the legs are not in the way of the person sitting at the table. 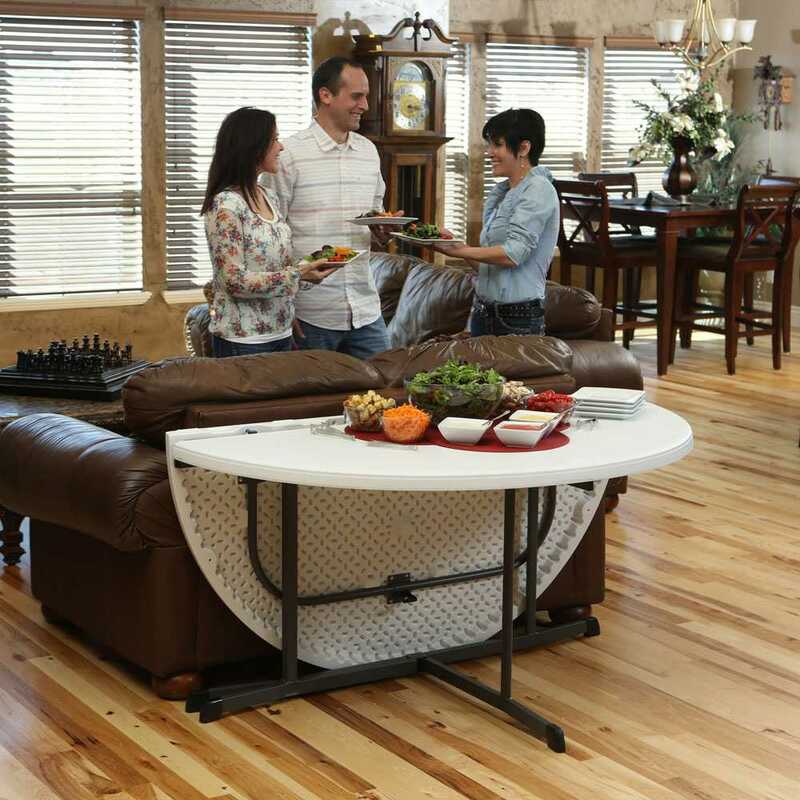 Other models of round tables leave four out of eight people dealing with a table leg in the way. We sat eight comfortably around this table eating a meal. The fold down feature of the table was something I didn't think would be used much but looked like a nice option, I was wrong! It is surprising how handy that half table feature is, we have used the half table several times already! These tables are very stable. We were concerned about the stability with the leg design, we are very pleased with the sturdiness as well as stability. They are light enough to carry easily and store two high. We bought 24 of them and built a rack to stack them two high allowing us to double our storage space. I am not one to write reviews often, but this product deserves the effort. Fine product, just as described. 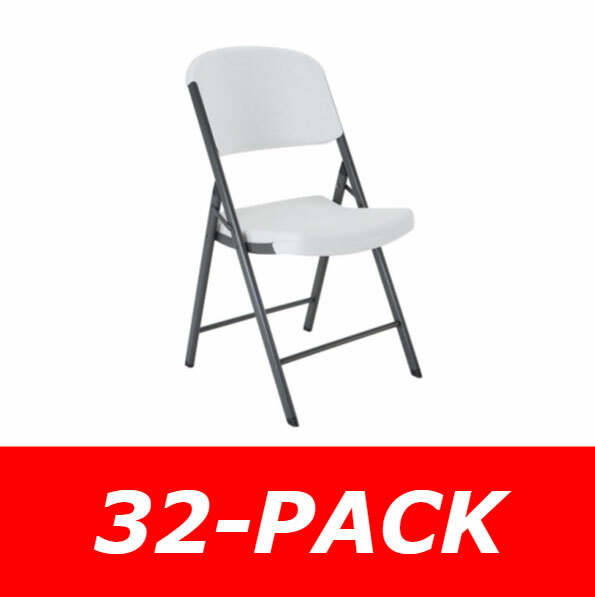 Pros:"Cleans up nicely","Easy to use","Nice size for 8 people","Sturdy","Easy to transport" Cons:"Plastic clips for legs" Best Uses:"Parties and guest seating","Outdoors" Bottom Line:Yes, I would recommend this to a friend. We rented these tables from a firm to use for a graduation party. They were easy to carry and set up. We could tape down the plastic tablecloths to the underside without fear of damaging the surface. They were sturdy and even. The fact the tables folded in half made transporting them in a SUV possible, so I didn't have to rent a truck. I am very tempted to buy a couple instead of renting them next time! The ONLY negative thing I could think of was that one of the plastic clips that helps to keep the table leg anchored when the table is opened, snapped off. We could still use the table, but it did make me uneasy. Wish they could use metal clips instead of plastic on such a nicely built table. The table works great and like the fact I only have to have one side up at a time. Great space saver when needed. I agree the clips need to be metal. Mine was delivered with a broken clip but the company replaced it immediately. Order the tables on April 4th & still haven't received them. I already paid for them & haven't got a call to see what's going on so I decided to call the number that was left on the shipping itinerary & they said they don't have any information about my order. Already April 29th hopefully I hear something this week! 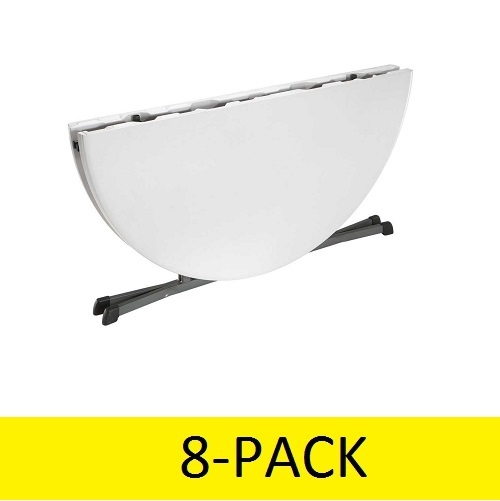 Q: Do you sell this table individually or in a four pack? A: Yes, please search for model 25402 on our website or model 45402 to see the different package options. Actually, if you search for model 5402 in the search box it will pull all of the options. Feel free to contact us with any other questions. Q: Can you deliver this table in Long Island by Friday? This is for a party next week. Q: How many tables are included in this package? 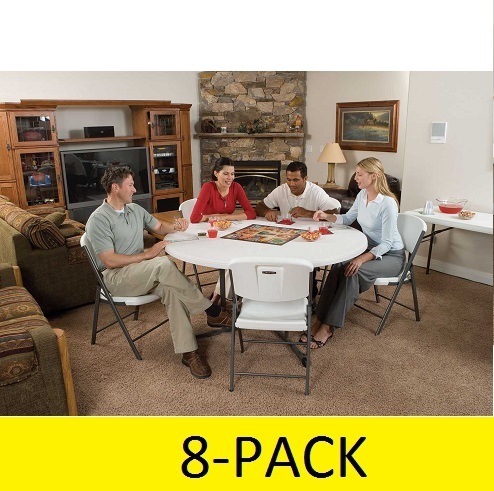 A: This package deal includes 8 tables. We also carry them individually if you need a different quantity. Q: Does this table have a pedestal leg assembly? I want to see all the way around the table. 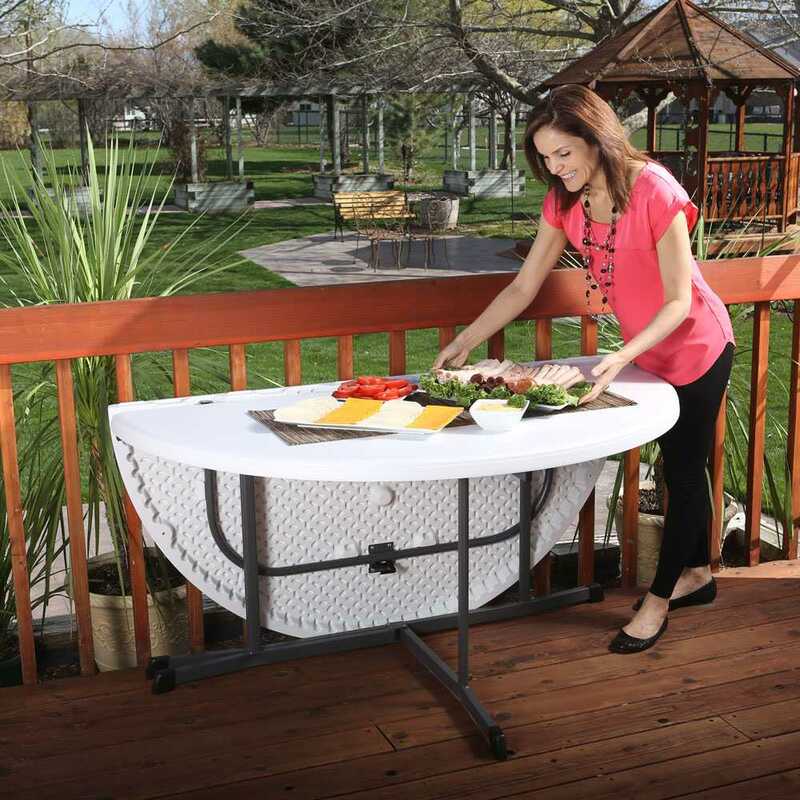 A: Yes, it does have a pedestal like assembly so you can comfortably put people all the way around the table. 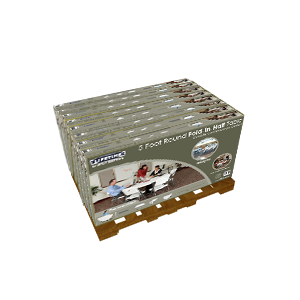 Shipping: Orders for the 5402 Pallet Pack generally leave the warehouse the next business day. Dimensions: 61" x 48" x 36.625"